Candy Liu completed a BPsych(Hons) in 2017 at the University of New South Wales, Australia. She was a research assistant with the Parent-Child Research Clinic and the Early Assessment Research Clinic for 3 years. Under the supervision of A/Prof Eva Kimonis, Candy completed a research project examining whether callous-unemotional traits moderate the assocation between different parenting practices and child conduct problems. She was awarded the UNSW Summer Vacation Scholarship for this project. Candy has also contributed to a journal article examining the association between psychopathic traits and aberrant attention to emotional stimuli. 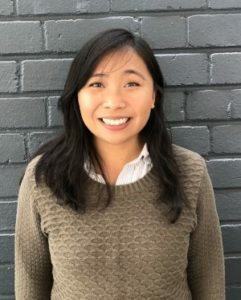 Candy is currently a research assistant with the Refugee Trauma and Recovery Program where she administers a 5-year longitudinal study of refugee mental health and wellbeing with over 1000 participants. She is nationally accredited in crisis support and suicide prevention, and volunteers as a telephone crisis supporter on weekends. Previous to this, she worked for 3 years as a behaviour therapist, program writer and early intervention consultant for children with Autism Spectrum Disorder. Candy is happily committed to her work supporting at-risk, and ethnically and culturally diverse populations. She aims to be registered as a clinical psychologist in the future.